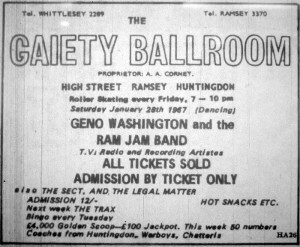 The Gaiety Ballroom was a popular Saturday night dance venue throughout the 1960s, not just for locals but for those who travelled in on the free bus services provided from places including Peterborough, Huntingdon, Chatteris and Warboys. 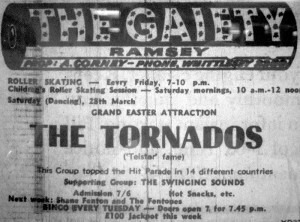 The Gaiety was hidden away in a yard behind the High Street in Ramsey and was only accessible via an alleyway next to #59 Bonnetts Bakery (formerly Cope & Kilby’s Bakery), just along from the George Hotel. 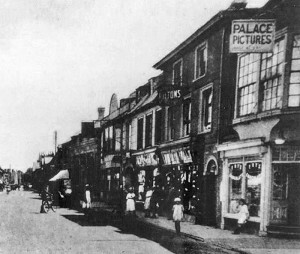 A 1914 image showing the “Palace Theatre” sign above the High Street passage far right. 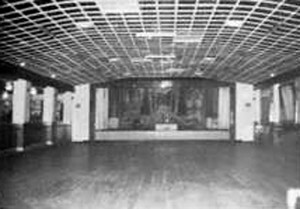 Although details about its former life or lives are still unclear, the venue can be traced back to at least Edwardian days when it was known initially as the “New Picture Theatre” and subsequently the “Palace Theatre”. 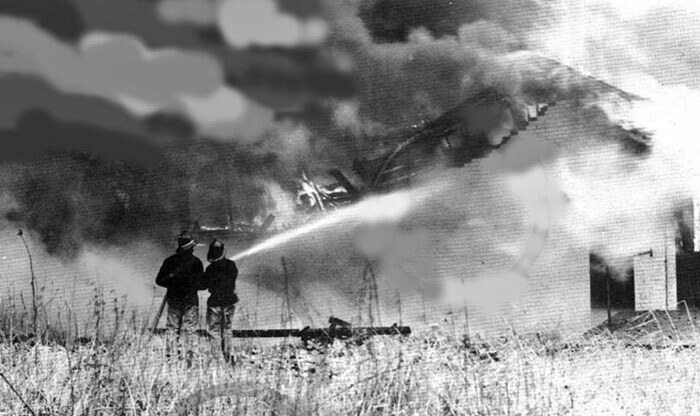 Later in the 20th century it became known as the “Old Cinema” and was owned by a “Bro Franks” albeit nobody is too sure who exactly Bro Franks was. 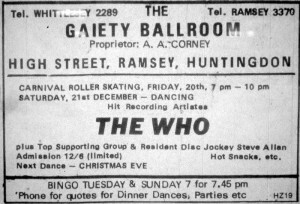 The venue was purchased and refurbished by the Corney family in the late 1950s/early 1960s and opened as the Gaiety Ballroom in January 1961. 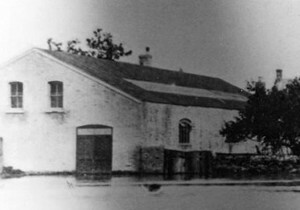 One of the few surviving photos of the Gaiety showing the rear of the building during a time of floods ! 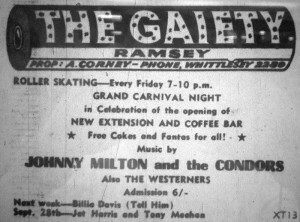 extension was built that was separately licensed and in later years housed the Ramsey Cabaret Club. 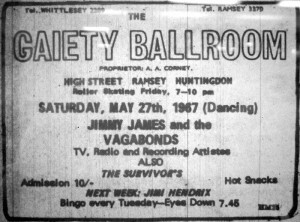 Whilst the CV of live acts was not a match for the Peterborough Palais, the Gaiety did play host to The Who on two occasions as well as fellow A-listers The Hollies, The Move, The Animals, The Moody Blues, The Troggs, The Herd, Geno Washington and also a rare early appearance from David Bowie with the Manish Boys. 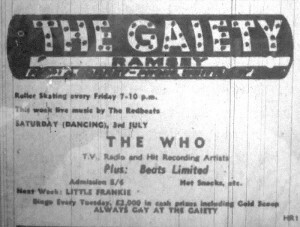 Local legend included an appearance from the Beatles which definitely did not happen and an early appearance from Led Zeppelin which was also fictional as the band was not formed until several months after the apparent Gaiety appearance ! 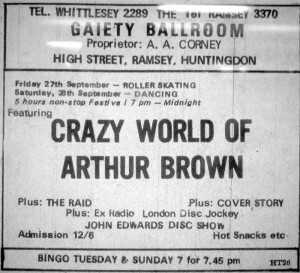 Jimi Hendrix was advertised as appearing in June 1967 right up to the week before the show but, for reasons unknown, that one never happened either with the guitar legend working in London that weekend. The late 1960s music trends started to drift away from dancing to beat combos as the popularity of “progressive” rock bands and the era of flower power started to take over. 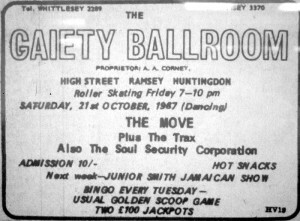 Dance nights began to embrace the term disco nights as the earliest DJs started to appear on the scene and the commercial lure of alternative entertainments such as Bingo became more attractive to venue owners. 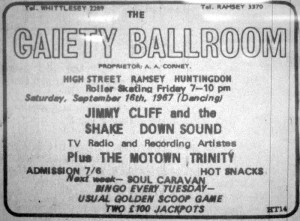 Peterborough lost its Palais as a live venue in 1967 as Bingo took over but the Gaiety soldiered on defiantly with what was arguably their best line-up in 1967 but by early 1969 Bingo had claimed Saturday nights here too and the short-lived move to Friday night bands lasted a mere fortnight before that too was claimed by a Roller Skating session. 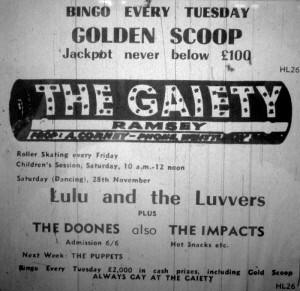 Although live shows stopped in February 1969, the Gaiety continued to function as both a Cabaret Club and a Social Club with bingo and occasional roller skating nights. 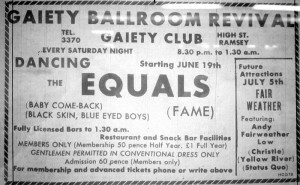 when the venue proudly proclaimed a Gaiety Ballroom Revival with The Equals headlining on opening night. 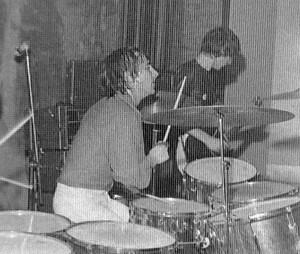 The following week they were followed by Fairweather and announced future dates to include Christie and Status Quo. 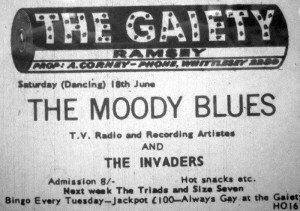 Christie’s show on 31st July 1971 was to be the last stand for the Gaiety however as a newspaper announcement the following week stated that the venue was closing for four weeks due to an “unsafe roof”. 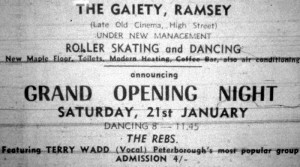 The Gaiety never reappeared in the “Whats On” pages beyond this point and the building was totally destroyed by fire at around this time. 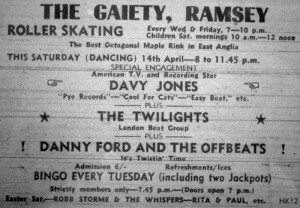 The listings below are as close to definitive as can be determined and are based on venue advertising in the Hunts Post. Many thanks to the very many individuals who have contributed to this page which has hopefully given the venue the long overdue internet presence that it deserves. 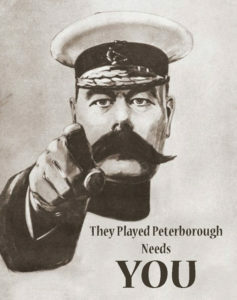 If you can add further information, please get in touch HERE and I will happily update the page. 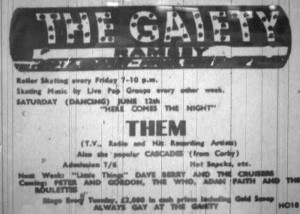 06/07/68 – Although not mentioned in any Gaiety advert or listing, some websites show rock legends Led Zeppelin as playing the Gaiety on this date. This is clearly wrong as the band were not formed until later in 1968. 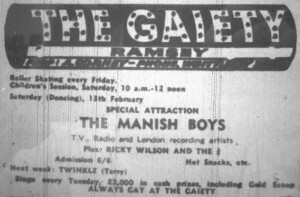 The NME lists Tim Rose – who featured soon to be Led Zeppelin drummer John Bonham in his band – as playing the Gaiety on this night but all the newspaper adverts show only the details below. 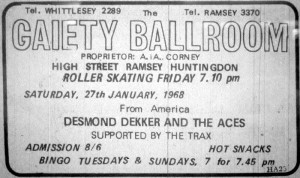 08/02/69 – Roller skating introduced for Fridays. No more live bands advertised. 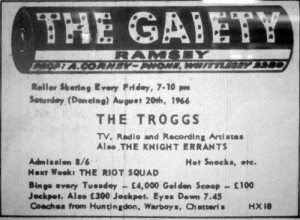 Adverts for Ramsey Cabaret Club started instead. 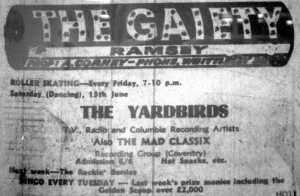 Adverts for Ramsey Cabaret Club continue. No live bands. 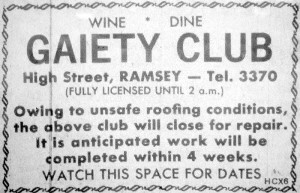 05/08/71 – Newspaper notice advises that the club will be closing for four weeks due to an “unsafe roof”. No subsequent adverts were to appear. The end of the Gaiety !